In 2008, the American State Department wrote a report that focused on the 2007 murder of one Victor Obafaiye, the principal witness against Senator Dino Melaye in an electoral petition against the controversial legislator from Kogi State. murdered before he could testify. “On August 19, Victor Obafaiye, the principal witness for the Action Congress in the Kogi State Election Tribunal, was assassinated. Obafaiye was crucial to the case, as he was supposedly in possession of documents that would have served as evidence of election tampering by the PDP House of Assembly [sic] candidate, Dino Melaye,” stated the US State Department report. The report did not directly accuse Mr. Melaye of masterminding Mr. Obafaiye’s murder, but the report suggested that the State Department considered the case one of the significant instances where the use of violence undercuts the practices of electoral democracy in Nigeria. 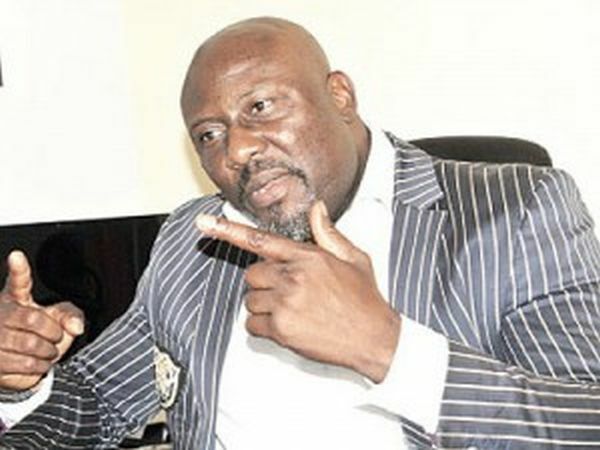 Mr. Melaye, who was in 2015 elected to the Nigerian Senate, has since been able to visit the US, suggesting that the State Department did not have conclusive evidence tying him to the murder of Mr. Obafaiye. The senator is currently at the center of a certificate forgery scandal after this website reported that his graduation from Ahmadu Bello University was questionable as whistleblowers in the Geography Department informed us that he had not completed certain required classes. Mr. Melaye had also claimed to possess degrees from Harvard University in Cambridge, Massachusetts as well as London School of Economics, a claim both institutions denied.